Welcome to Part 25 of the thread for the Duchess of Cambridge's Daytime Fashion! I love Kate's green dress she wore recently. Very elegant and beautiful. I agree, it is a very elegant dress. I love this. Was hoping she’d bring it back for today’s visit. The collar looks strange to me...? But of course the photo doesn't show it well. Love the color though. Lovely. Its the third outing for this ensemble, hope it gets a few more outings. Perhaps because there isn't a collar? I have always and will always love this coat dress. Bonus points for the green bag. Yes you are right. I thought it was a collar which separates wide apart from each other .. I love this dress. Glad to see it again. The green bag is nice too. What better dress coat to recycle in a Scottish city than this one? She looks great. I love it!! Perfect for a day in Scotland!! I've always loved this one. And what better place to roll it back out than Scotland? I'm not a huge fan of the bag, though. great repeat very fitting for the occasion the Duchess looks great. Perfect choice for the visit,the duchess is on a roll lately with her wardrobe choices. It's always good to see this outfit on Catherine. Glad to see it again. 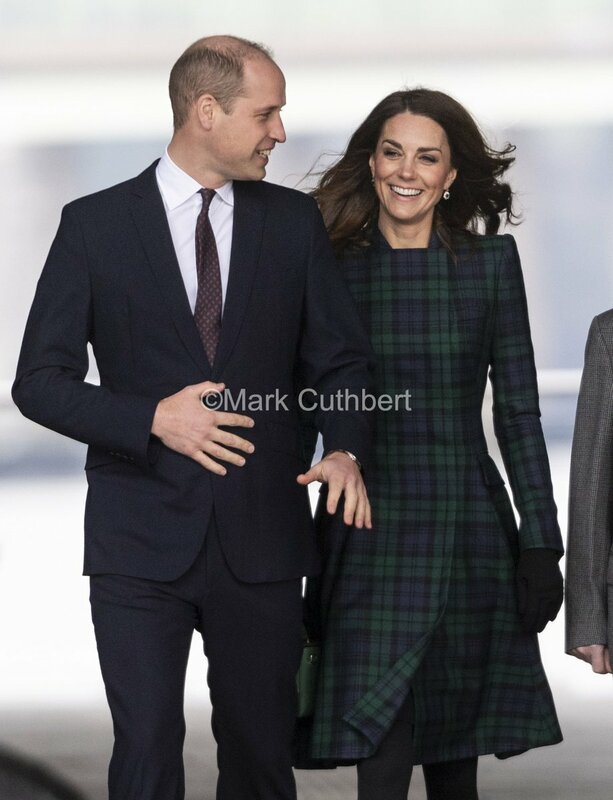 I love this coat dress & she looks lovely in it. The fitted top/full skirt style suits her so well with her slim frame & height. LOVE this look on her....great choice! Ok and who else wants her new bag?